How do SAP solutions support data privacy officers with GDPR aka EU-DSGVO? 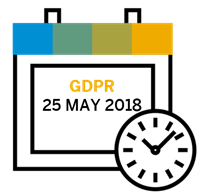 As data privacy and protection expert for SAP Business ByDesign I often get asked what other SAP solutions offer to support companies with their efforts to get compliant with GDPR / EU-DSGVO until 25th May 2018. SAP Information Lifecycle Management: Overview on blocking and deletion of personal data. Gigya: What role can Gigya play for corporate consent management?